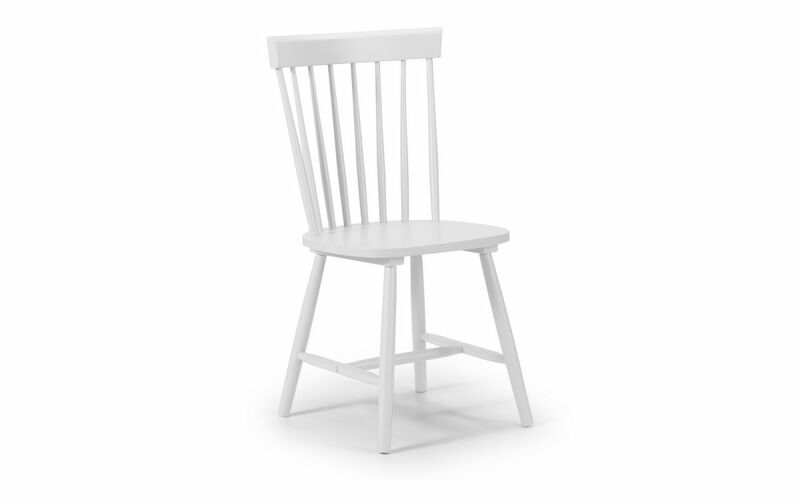 The Tori White Chair combines classic Scandinavian design with tapered legs for a stylish modern feel. Crafted from durable hardwood with an immaculate lacquered finish, Tori is the perfect accompaniment to a wide range of dining tables or as a timeless accent chair for the bedroom or living space. This range is a very contemporary & sleek style of furniture that is sure to convert your dining/living room into a stylish sophisticated area.